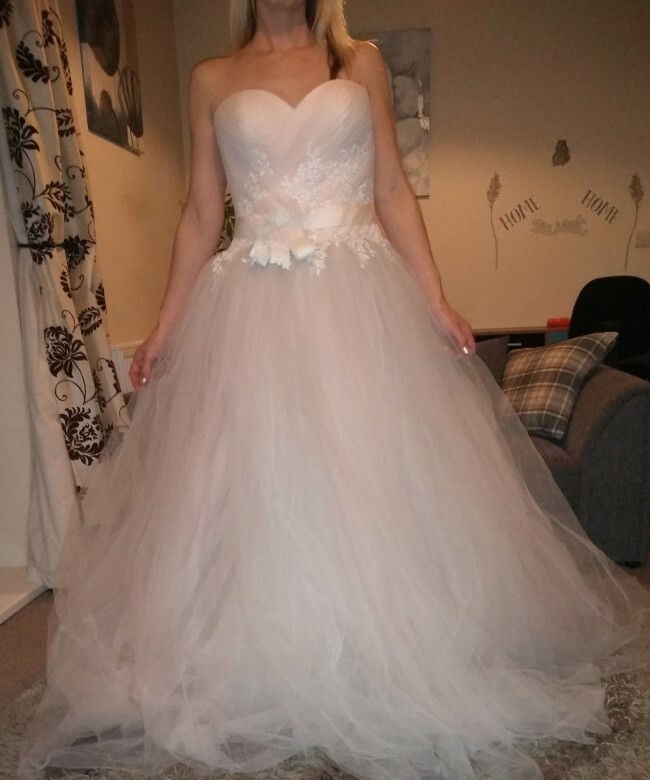 Wedding dress, brand new, worn once for photos, off pink- stunning embroidery on front, size 12, beautiful train, light and airy, fits well- lace up bodice at back- not shown in pictures. Absolutely stunning- shame to sell but needs must. £650 or nearest offer. No silly offers please as already selling down price. Would look amazingly beautiful on any bride!